Comedy, like anything else, is subject to trends. There are ebbs and flows to style, format, and anything else. Five years ago, everything was mockumentaries; now, cute multi-cam sitcoms are being pushed to fill the vacuum that How I Met Your Mother left. Something like Three’s Company is so specific and dated it feels as foreign as Oscar Wilde or Shakespeare. But sometimes a show comes along that harkens back to an older era, an older style of joke that no one’s telling anymore. I’m referring, of course, to Angie Tribeca, a thoroughly strange police send-up that premiered last week on TBS. Angie Tribeca follows Los Angeles cop Angie Tribeca (Rashida Jones), a married-to-the-job police detective who solves crimes with her partner Jay Geils (Hayes MacArthur), boss Lt. Chet Atkins (Jere Burns) and the rest of the Really Heinous Crimes Unit. It’s a broad, rapid-fire satire in the style of Airplane! and Sledge Hammer!, and it makes Brooklyn Nine-Nine look like The Wire. Characters constantly whip out oversized props or goofy outfits for a single purpose gag that’s immediately forgotten. Continuity is loose, not only episode to episode but scene to scene and even joke to joke. Names are punny, character types are exaggerated, and everything is in service to having as many punchlines, visual gags, and other jokes squeezed into the runtime as possible. The show premiered last weekend in a 25-hour marathon on TBS that showed the ten episode season roughly five times back to back. Before seeing it, it seemed like a brazen attempt to dump the project, which is the brainchild of Steve and Nancy Carell. After watching even five minutes, though, it made sense. Angie Tribeca is the ultimate binge watch, and not in the usual, “gotta see what happens next” way. It’s dedicated to making you laugh at any cost, and with loose, low-stakes plots, it’s easy to jump right into the middle of episode 6 at 3:45 in the afternoon and not feel like you’ve missed anything. “You don’t need to pay attention” seems like a poor compliment, but series like Seinfeld and It’s Always Sunny in Philadelphia have proven that there’s strength in immediate accessibility, which Tribeca has in spades. “Joe, you haven’t really told us whether it’s good or not.” I know, I know. The truth is, Angie Tribeca is gonna be polarizing, and it all really comes down to whether the “surely you jest!” style of comedy works for you. Personally, I found it hit or miss, but there’s enough here to keep me coming back, if only in small doses. Jones’s easy likeability is a large part of the draw, and her commitment to the various bits she’s given is admirable and engaging. I’ve liked MacArthur since the ill-fated Perfect Couples on NBC, and any chance to see Jere Burns’s eyebrows in action is a good one. There are plenty of big-name guest stars throughout the season, bringing various levels of laughs. The fifth episode specifically, in which Tribeca has to go undercover in a prison, was probably my favorite, but there’s plenty of solid bits throughout. Likewise, though, there are plenty of groaners, from Bill Murray speaking the chorus of “Call Me Maybe” in conversation to a sequence with a chimpanzee criminal profiler that’s ostensibly a spoof of Hannibal and the like, but comes off as a thin excuse to get a monkey onscreen. Maybe Angie Tribeca works best as ambient joke noise, and it won’t hold up in rewatches of specific and individual episodes. 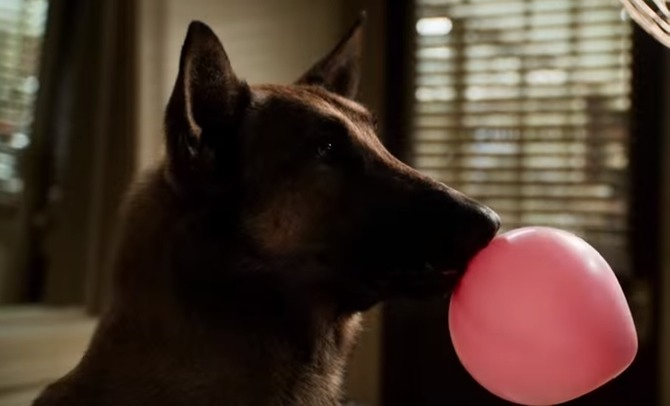 But more than being good or bad, even, Angie Tribeca is just plain interesting. It’s like waking up in a parallel universe where The Office and Judd Apatow movies never happened. It being a passion project for husband and wife Steve and Nancy Carell is a cutesy bit that’s helped them sell the show in ads, but the thing is, I believe it. What other explanation than genuine love for the form can there be? It’s something that would get a fresh-faced SNL writer would-be laughed out of his development deal. The cast and crew of this series are making a show of slapstick physical gags and idiosyncratic dialogue running jokes in an era when most shows are pushing for naturalistic “bro” humor or Millennial brand namechecks. Angie Tribeca isn’t gonna be for everyone. I watched most of the first season in bits and pieces, and I’m still not even sure if it’s for me. But it’s so earnest in its goals, and so ruggedly unlike anything else going on right now, that I can’t help but recommend it.